City of Bismarck, ND Results of the 1998 Master Plan Update for the Bismarck Water Treatment Facility (BWTF) indicated that the control system required replacement to perform at the level necessary for the plant. As such, the City enlisted AE2S to complete a detailed Needs Assessment for the facility control system. The first task of the Needs Assessment consisted of documenting the entire system, including instrumentation, PLC components and programs, valve actuators, motors starters, control loops, power circuits, devices, and the physical locations of all documented items. Once this data was gathered, the facility operators were interviewed to begin determining the level of control, monitoring, and other related system features required or desired for the new system. Based on this information, a report was developed that detailed the state of the existing control system, and established direction for upgrading the system. The completion of the Needs Assessment addressed key issues that aided in both the design and programming of the new control system for the facility. The design carefully considered existing processes and operations, planned improvements, and the enhancements required. The design team consisted of process and applications engineers from AE2S, an electrical engineer, and four representatives from the BWTF staff. In 2004, the control upgrade project was designed and bid, and construction was initiated. Throughout construction, the treatment facility remained operational; and following construction, final enhancements were made and record documentation was prepared. Filter valve control network consisting of 150 valves. The valve network provides enhanced capabilities and eliminates the need to individually wire each valve to the PLC I/O modules, thus eliminating over 300 I/O points. Client/Server SCADA architecture utilizing Windows Terminal Services. 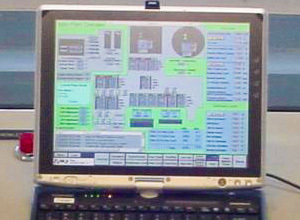 The operator workstations connect to the central SCADA server with no SCADA software running on the workstations. Two isolated Ethernet I/O networks running throughout the facility over a fiber optic backbone loop. Internal wireless Ethernet network using portable tablet PCs. Distinct administration, lab, maintenance, and operations functions. Integration with existing remote telemetry system. 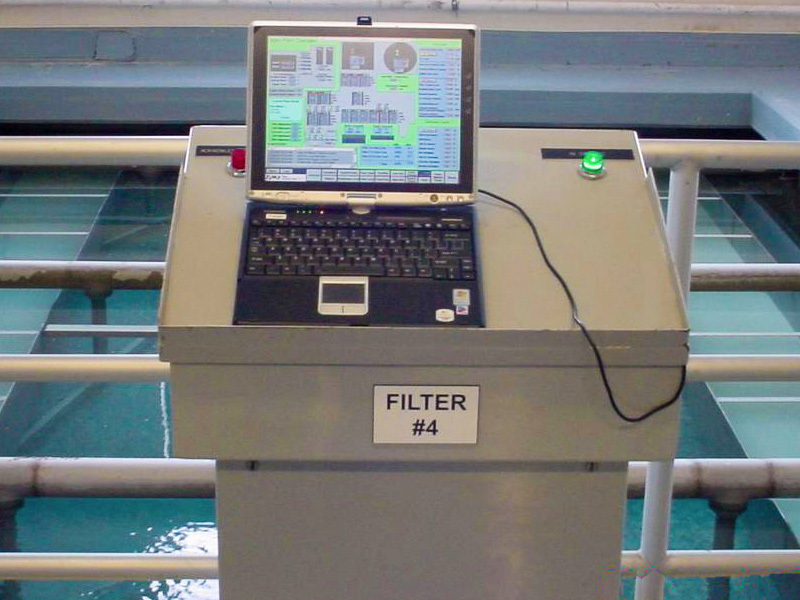 Conversion of plant operations from level to flow control (30+ MGD Surface Water Treatment Facility). Integration of hundreds of process system devices and instruments.